I have not one, not two, but three graduations to attend this year. That’s kind of a lot, and while I’ll probably shop my closet for at least two of them, I decided to go ahead and buy something new for Brian’s graduation. Because if I wear something I already own for two out of three, that’s still pretty good, right? Do you have any graduations to attend this year? What will you be wearing? All I remember about graduation is how unbelievably hot it was. Taking off that robe was the best thing that ever happened to me haha! That said, I love that orangey red dress with the stripes. So cute! my brother graduates this year and so does my best friend. i am wearing a blue dress with dots for my brother’s and a pink dress for my friend’s. I have 2 this year – my brother from high school and my sister from her Bach Nursing. I have one new-er work dress I’ll wear to one of them and probably will shop my closet for the other one. I liked seeing your picks. 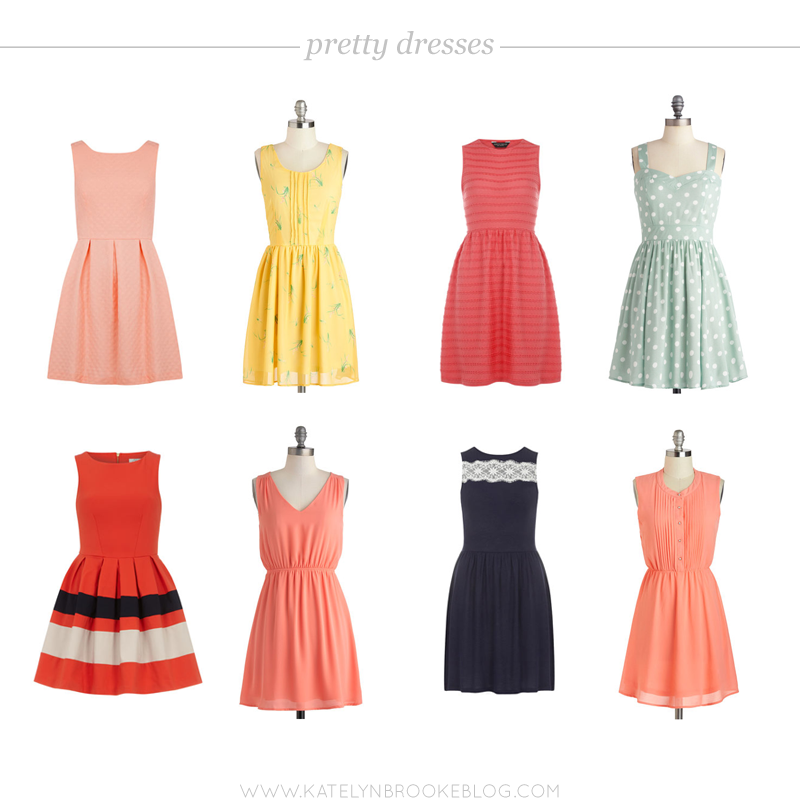 The navy one stands out to me, but your pick is also cute!